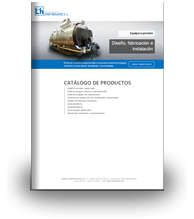 Water-tube Steam Generator CIT - López Hermanos, S.A. The Water-tube Steam Generator CIT includes the three-pass water tube model featuring a delta arrangement, water walls and fire-proof external walls. The steam generator has two headers or domes where all the tubes connect up, and two or more natural circulation columns depending on the size of the generator. This is a three pass boiler: a first pass in where gases travel and return along the back of the furnace, followed by a second pass curving around the front, for the third pass flue gases flow before being vented via the smokestack. The generator has one or two burners depending on its size with the respective fuel rails and separate electrical control, and a cascade-type flame control lever to make the most of thermal inertia. 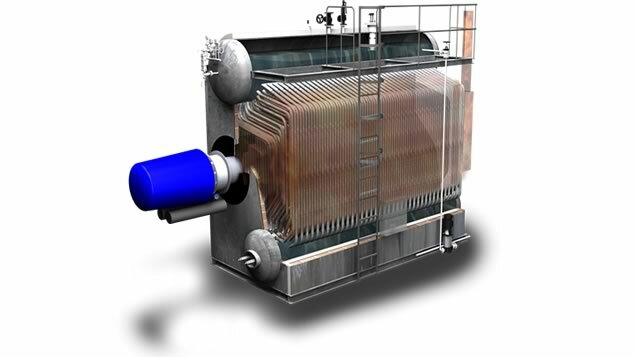 Thanks to their configuration and design, these boilers enable high pressures of up to 45 kg/cm² that would be difficult to achieve otherwise with ordinary fire-tube boilers.